One of the world's most powerful women will once again capture the attention of Wall Street this week. Federal Reserve chief Janet Yellen will head to Capitol Hill to answer politicians' questions Wednesday about the health of America's economy. With earnings season winding down and few other economic reports on the horizon, Yellen's testimony could move the markets. Stocks are in record territory these days. The Dow hit an all-time high last week, and both the Dow and S&P 500 are close to new heights. Yellen's script is likely to mirror the Fed's policy statement last week when it decided to dial back its bond-buying program by an additional $10 billion. 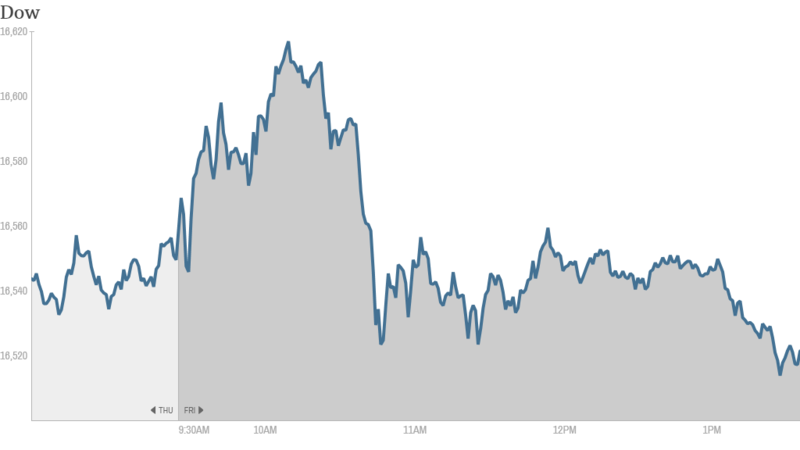 But Yellen's "off-the-cuff" remarks have moved markets before. 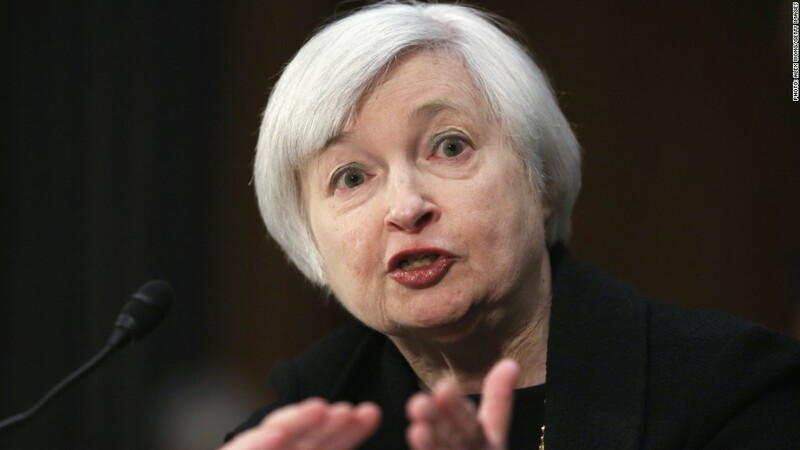 The Dow fell more than 100 points in March when Yellen gave a press conference after a Fed meeting. Investors may glean further clues on the Fed's playbook to stop its stimulus program (known formally as "quantitative easing") when lawmakers pepper the Central Bank chief with questions. Yellen is also likely to be asked about her take on the big drop in April's unemployment rate: Is this a real turnaround or a temporary blip? Overseas, the European Central Bank and Bank of England are scheduled to make interest rate decisions. On the geopolitical front, Wall Street will continue to keep a wary eye on the situation in Ukraine. Tensions between Kiev and Moscow have ratcheted up in recent days, highlighted by a military operation on Friday aimed at regaining control of the pro-Russian stronghold of Slovyansk and weekend clashes in the Black Sea port city of Odessa that killed several dozen people. Russia's economy is clearly suffering -- the IMF says President Vladimir Putin's nation is already in recession -- but so far the spillover to other regions has been minimal. The economic calendar is sparse, especially compared with last week's flurry of indicators that included major employment, manufacturing, housing and consumer spending reports. The frantic pace of "report cards" for Corporate America also slows down this week, but there are a few more to go. Results from brewing giants Anheuser-Busch InBev (BUD) and Molson Coors (TAP) are "on tap" this week, just in time for the alcohol heavy Cinco de Mayo celebration. The lone members of the Dow Industrial index in the earnings spotlight are Walt Disney (DIS)and Pfizer. (PFE) The drug giant may take the opportunity to respond to AstraZeneca (AZN)'s decision last week to reject a buyout worth $106 billion. Investors will be watching closely to see how Internet stocks, the former darlings of Wall Street, react to the latest earnings from the likes of AOL, (AOL) Orbitz Worldwide (OWW) and cybersecurity firm FireEye. (FEYE) Shares of Twitter (TWTR)and LinkedIn (LNKD) tumbled last week as stronger than expected revenue and earnings numbers failed to quell fears these stocks are too expensive and no longer growing fast enough. Tesla (TSLA), which has also been caught up in the recent pullback from momentum stocks, will drive up to the earnings stage on Wednesday afternoon. The electric auto maker's shares are well up on the year but off 20% from recent highs.